The US and EU made a raft of new sanctions that look hard, but they are designed to be harmless -but look good. Some interests that would have really crippled Russia have been avoided, deliberately. Well the Americans are very far from stupid. – They need the Russian routes to withdraw from Afghanistan (they could use Pakistan, but it is more expensive and dangerous. -They do not want to push to the brink a Government that has a clear and devastating military power. They actually know that the real reason of the famous Pearl Harbour attack where the crippling oil sanctions on Japan in 1941. And Japan did not have nukes and the state of the art weaponry of Russia. -There are a lot of Western companies in Russia (Eg ExxonMobil for one) that have substantial assets in Russia that could be seized in a moment. Apart the issue of the single companies…there are enough assets to send the world directly in the Global Financial Crisis number 2. Russia at the point could cut off also the gas supply to Europe. 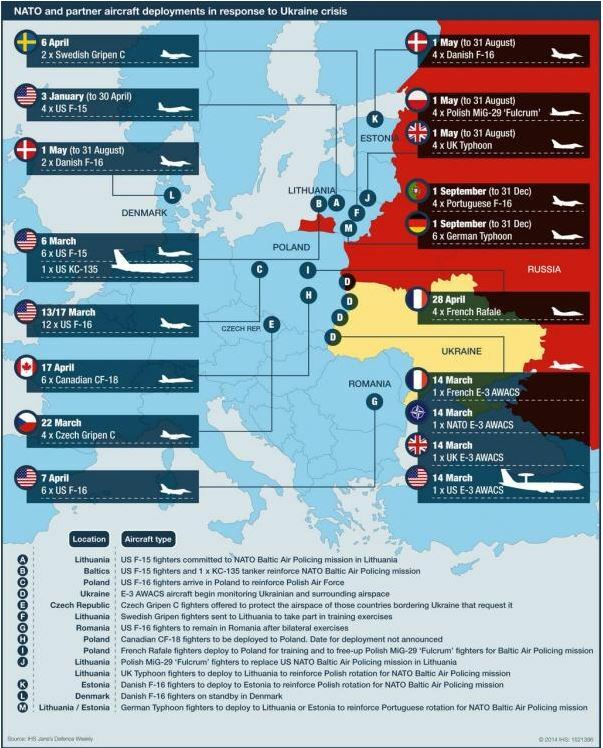 – Some countries that have issues with the US (China, India, Iran, Brasil to name a few) are carefully monitoring what is happening and preparing for a Pact of Warsaw number 2. So they decide to bark at the Bear, without biting it. As I say do not wake up the Bear that sleeps. China is starting to implement tougher rules on Steel Mills and Iron Ores crashes….bringing down the Australian Share Market. While in April the Western Media were fantasizing on Chinese Mini Stimulus we read the market correctly that the Chinese Government this time was serious. The Financial Times reports that the China Banking Regulatory Commission warned banks to tighten controls over letters of credit for iron ore imports in a document that caused iron ore futures in China to drop 5 per cent on Monday. Rumours of the stricter measures, which are expected after the May 1 holiday, have been circulating in China for at least two months, after a hasty stock sale caused ore prices to tumble in late February. The biggest issue for the markets that all these loans in the iron ore are very “creative” and nobody knows what or who will be hit next. Hopefully no domino effect. Even the Chinese Authorities are scared as the tightening of rules on the loans decrease also the collateral (actually iron ore collateral has been used also to buy Australian Property). It is like a sequential margin call in the stock market …with the difference that everything is extremely murky. This could be the crack in the bull mark …Sell in May and go Away! Financial World War 3 has started. The US has already started a financial world war against Russia. It targeted all the Putin’s inner circle (not yet Putin as targeting an head of state could read directly to war. For sure we do not know what Russia will do to counterattack. It has several options which are clear (manipulating the gas prices, stopping the agreed withdrawal routes designed for the exit of the US Army from Afghanistan) and naturally some that are unknown (nobody knows who placed a USD 2.8 billion put option on the SP500 the 26 March or who has, in Belgium, one third of all US Treasury and why). I found on the Irish Examiner a nice article on how the US Treasury is targeting the hostiles. A branch of the US Treasury uses sophisticated financial tools to hit targets linked to hostile governments. This is the new global warzone, write Leah McGrath Goodman and Lynnley Browning. IT WAS midday on March 20 when an executive at Gunvor Group, the world’s fourth-largest oil trading firm, sitting at his office computer in Geneva, glanced up at the screen and got a jolt: A tweet had popped up saying one of the company’s founders, Gennady Timchenko, a billionaire Russian businessman, had been placed on a US government blacklist, along with 31 other people and businesses said to be linked to Russian president Vladimir Putin. The previous day, Timchenko had finalised the sale of his 43.59% stake in Gunvor to business partner Torbjörn Törnqvist, a Swedish oil trader, the firm’s other co-founder and now its chief executive. The two men conducted the transaction amid escalating tensions over Putin’s push into the Crimea region of Ukraine because “they saw the writing on the wall”, the executive explained, adding that “we weren’t tipped off” about the blacklist. Gunvor had a narrow escape, and the message was heard loud and clear around the world: The first salvo in modern warfare is likely to be financial — and the result is increasingly effective. The control room in this new kind of war is a unit inside the US Treasury Department: The Office of Terrorism and Financial Intelligence, with 730 staff. Don’t let the name fool you. This little-known branch of treasury, created by Congress in the wake of the September 11 attacks, isn’t just going after terrorists or hunting illicit offshore money flows anymore. It is using sophisticated financial weaponry to hit carefully chosen targets linked to hostile governments. “This is the 21st century version of waging war,” says Judith Lee, a lawyer and sanctions expert at Gibson, Dunn, & Crutcher in Washington. TFI was responsible for drawing up the blacklist, which sought to paralyse the financial dealings of Putin’s inner circle as Russian troops advanced Crimea. In Russia, the assault has led to severe disruptions in the financial affairs of blacklist targets such as Timchenko, as well as Bank Rossiya, a mid-sized St Petersburg bank catering to senior Russian government officials, which has around $10bn (€7.2bn) of assets and which found its Visa and MasterCard services abruptly halted and its credit downgraded by Standard & Poor’s. Once blacklisted by the Treasury, an individual or corporation can no longer conduct business using US dollars, which are involved in 87% of the world’s foreign-exchange transactions, according to the Bank of International Settlements. How does this work? Foreign banks generally “dollarise” payments by routing the transaction through US banks, which are required to block any payment when a blacklisted person or entity has a direct interest. Since sanctions were levied, the Treasury has noted an increase in Russia’s capital outflows — a measure of the money leaving the country. So far this year, it says, these “have exceeded the entirety of outflows last year”. TFI has lawyers and financial analysts who honed their skills targeting rogue states, such as North Korea and Iran, and terrorist organisations such as al-Qaeda, in addition to drug kingpins in Latin America. Russia presents an entirely new type of challenge. Here, for the first time, Treasury is pointing its guns at a fellow member of the G8 — one with trade ties to the US, Europe, and Asia. In many ways, Russia is the test case. At the heart of Treasury’s power is the Office of Foreign Assets Control, a division of TFI that compiles and shoots out Treasury’s blacklist, and whose legal authority stems from executive orders issued by the US president. This branch of Treasury freezes the assets of targets inside US jurisdictions and imposes millions of dollars of fines on violators, which can include any individual or entity, foreign or American, found to be doing business with anyone on the blacklist. The list also applies to entities that are 50% or more owned by those that have been blacklisted. Already there have been ripple effects, with banks from JPMorgan Chase to Goldman Sachs and financial institutions from MasterCard to Visa scrambling to stay on the right side of the US. “The financial sanctions depend on direct outreach to private financial institutions, rather than on going to the foreign governments in which those institutions are based,” says Orde Kittrie of the Foundation for Defense of Democracies, a think-tank. Kittrie was a senior state department economic policy official from 1993 to 2004. Treasury’s blacklist is sent out a bit like a Google alert. “We have an RSS feed with every financial institution in the country on it, and hundreds of other banks, not just in the United States but all over the world, who subscribe to the list too,” said Adam Szubin, director of the Office of Foreign Assets Control. “We blast it out, and it takes effect instantly. Russia: don’t corner a Bear! I know all the Western media propaganda depicts Russia as the evil aggressor (in a situation in which an anyway regularly elected government (for how much despicable) has been dethroned by a US sponsored revolution), but it would be better to let the Bear sleep than stoking the fires as the US continuously are doing. If real sanctions will be imposed Russia could retaliate cutting the gas (or rising the gas price) for Europe devastating the European economy that is looking at some frail hints of recovery. Russia could easily take over Eastern Ukraine and, military, there is nothing that anyone can do. If really cornered Russia could launch a world war 3 style cyber attack on the US. Russia has some of the best cyber attack specialisation. Do not under estimate the event. All your workplace, traffic management, utilities can be hit with a denial of service attack. I do not think that it will eventuate as it would be a World War 3 event. I strictly do not believe in it, but it is too much of a funny coincidence not to write about …Nostradamus he predicted that a great war will start from the Black Sea in 2013/2015. Coincidence. PS out of curiosity I read Nostradamus bits myself, once upon a time during a train strike. It is so convoluted that you can make him say whatever you want. But one of the last book was written in 2000…too far in the past for someone to make up stories about the Black Sea. You can always say that if you make enough stories some will be right (which is true). Anyway too strange not to write about it. The Reserve Bank of Australia (RBA) has an issue (well more than one). It does want a lowed Australian Dollar to stimulate the economy. But a lower Australian Dollar will increase inflation and spike up the interest rate slowing the economy and propping higher the Australian Dollar. The Australian Inflation is composed by two baskets, a tradable (EG imports) and non- tradable (electricity costs, rents..). As anyone in Australia at least subconsciously knows, the cost of living (mainly non-tradable) increased much more than the headline inflation. Notwithstanding that, we have a very low inflation number. The reason is because the tradable basket, due to the currency, has been actually in deflation. In effect a slightly higher dollar than necessary should be better for the RBA. Most unlikely: There was something on the aircraft worth taking at any cost. The passengers got sedated and diverted to one of the special US bases, Diego Garcia (by the way there were sighting of a aircraft over Maldives, just on top of Diego Garcia. After a day all media chat about it disappeared without notice). Logically the cargo has been taken over and the passengers disposed of. By the way the truth will be never known. As the time pass, even if they find the relict it could be easily planted there. Once in Diego Garcia, refuel, fly the aircraft off the coast of Australia and sink it.